Dating: Which Venue to Choose for Your Date? There are a number of factors that go into choosing the perfect venue for a date. 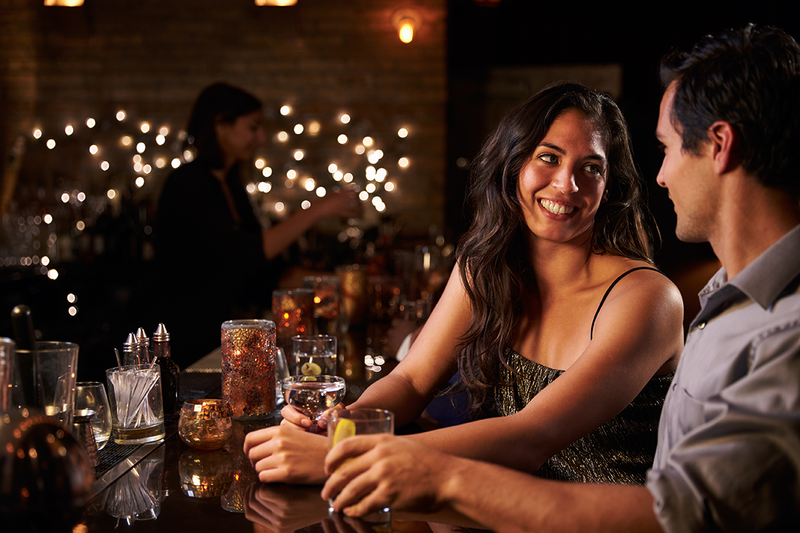 The location of a first date matters – people may tell you it doesn’t and that it’s all about who you’re with, but we here at CitySwoon know otherwise. Where you meet for the first time can play a big part in how you and your date interact with one another. A romantic setting tells a person that you’re serious about finding love, but it can also be quite daunting for a first date. A casual cafe allows you to let your guard down without feeling the pressure, but it can confuse a date with the “friend-zone” path. A club lets you go wild and have a great dance, but it doesn’t exactly scream commitment. Ready to take the next step and embark on that first date? Here are 7 things to consider when choosing a date venue to make sure it’s all smooth sailing. But what if you’re not dating with CitySwoon? What if your friend has set you up with a colleague and you’re trying to find a venue for you blind date? What should you be looking for? Someone compatible to you who wants to date in your local area is likely going to be of interest, so don’t go planning a date on the other side of town. You want your date local so you know how easy slipping into a relationship could be, but it’s also handy should you decide you want a quick exit. Just don’t choose a local spot where you’re likely to bump into an ex! Atmosphere is everything when it comes to picking a date venue; you want a good, festive white noise to break any lulls in conversation, whilst ensuring you can still hear each other over any background music. Pick somewhere with a funky background soundtrack and the potential for a band later on. That way you can still talk to one another over the music, and not fear awkward silences. Once the band kick off, you can decide whether you stay or go. As tempting as it might be to pull out all the stops for your first date, you don’t want the idea in your head that the date is sending you broke. Pick somewhere reasonably priced so the drinks can keep flowing, if you so wish. If you choose somewhere with $30 cocktails and $20 boutique beers, it won’t be as fun should your date be a penny pincher. Having several options up your sleeve is a great way to keep your date interesting. Not only will it make you seem adventurous, it will also tell your date that you’re knowledgeable about the area. If your date doesn’t seem overly thrilled with your first choice, move onto the next. If they don’t like that one either you can try another or decide they’re just too much of a fusspot. Talk to your friends about their favourite venues, but make sure they won’t be there on the night. Also take the time to look at online reviews, taking time to read the reviews rather than just look at stars. Often people are willing to share hidden information in reviews such as quirky off-menu items, happy hour times, and favourite live entertainment. If you plan to grab food while you’re on your date, consider what options are available. If you know your date is a vegetarian, don’t choose a bar that specialises in monster steaks. If you know your date loves spicy food, choose the bar with the amazing jalapeno poppers. Have no idea what your date likes? Make sure to do your research prior to ensure your venue has a well-rounded menu. It’s all very well choosing an uber trendy bar, but if you have to wait outside for an hour to get in, it’s not going to be the best start to your date. The same goes for a restaurant you may be planning to eat in. Book ahead, as not only will this prevent you from being turned away, it will show you are assertive and have initiative. Some of choosing a venue is obvious stuff (check your bank balance and stay away from your ex’s favourite haunts) but don’t underestimate the importance of choosing a great venue. A unique, independent venue adds extra appeal to a first date and will show you are taking the date seriously. Consider asking your date for their favourite place to go and while we don’t suggest going there, it will give you a good idea of what they like. See if you can trump their favourite spot with somewhere even better and you’ll straight away score a big tick against your name.